When I first became acquainted with the brothers, I was slapped in the face by raspy vocals yelling about embarrassment over being seen in their swimming trunks (Four Thieves Gone: The Robbinsville Sessions). I was obviously hooked. As The Avett Brothers continued in their life and musical paths they teamed up with producer Rick Rubin and seemed to find a more relaxed version of themselves. Slower strums and more singing than yelling seem to be the comfortable means of evolving their creative process. Though I will forever cherish the angsty side, I can’t say I blame them for smoothing out the hormonal bluegrass sound. Just tonight I was looking through my high school yearbook (hardly reminiscent, my mom had brought it over earlier) and thought of how stupid my hair looked back then, and why was I wearing that outfit? I feel like artists constantly do this with their music: “Why did I ever spend two minutes preaching my lackluster gentlemanly tendencies (“Gimmeakiss”)?” I mean, I could answer for them….because that song is great, but I’m trying to switch perspectives here. Someone could say that they loved my flippy, ridiculous hair as well. Thinking about their newest album’s Avett charm, with such a delicate approach that they have slowly been working towards, I consider how beautifully it slides into my ears. And yet, in all their softer moments, you never forget who you’re listening to. Sometimes it’s more obvious with the Beatles’esque “Vanity,” with distortion and crashing cymbals, and other times the vocals are the only way of pinpointing the past. Their unique style that is loved by so many is always there though. The Carpenter was an album drenched of emotion, and sometimes when this happens it comes across to the audience in a powerful way….and other times it seems to be received in confusion and on the extreme side, boredom. Once The Avett Brothers were able to get through those extreme feelings, they were able to move on, or so it seems. Magpie and the Dandelion [Universal Republic] (Out Now!) appears as a more connected predecessor to I and Love and You than The Carpenter, though they would not have been able to create this eighth LP without experiencing and producing the former. It’s as if we can breathe a sigh of relief at the fact they are “back,” without the ruckus. The eleven tracks, are perfect for a late afternoon drive with nowhere in particular to go. The Avett Brothers always makes me feel like I should stop thinking about my twenty-two first graders, or what to make for supper and just let it all float away. Though they typically sing about intense subjects and contemplate life, it’s in the attitude they seem to deliver these ideals which spark my need for clarity and redirection. “Bring Your Love To Me,” stands out for the sultry melody as you’re tip-toeing into the first verse like a Nick Drake tune, you’re swept into a delicious John Mayer-like chorus. Following this track comes the awfully catchy melody in “Good To You,” one of those that you feel like should have been sung before, but you can’t put your name to any similar songs so you just sit back and soak it in. 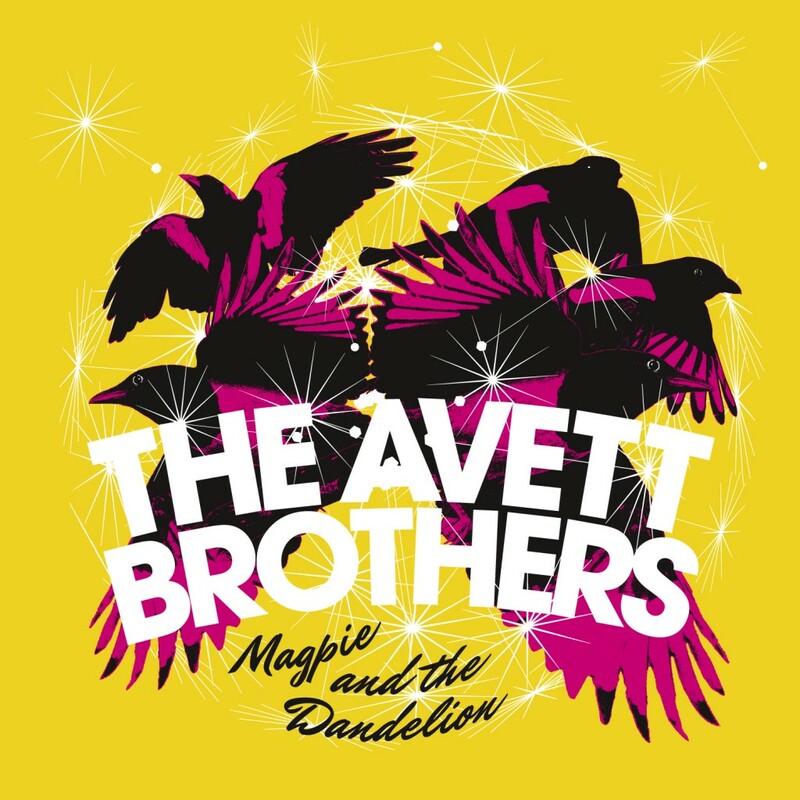 The Avett Brothers knew exactly what they wanted to create as they put the pieces together for Magpie and the Dandelion. Their finished product is delightful, timeless and peaceful as it wraps around your soul in piano keys and strings.